Over 32,000 acres and offers 320 miles of shoreline. The widest point of our lake is 8.5 miles long and the deepest is approximately 53 feet. 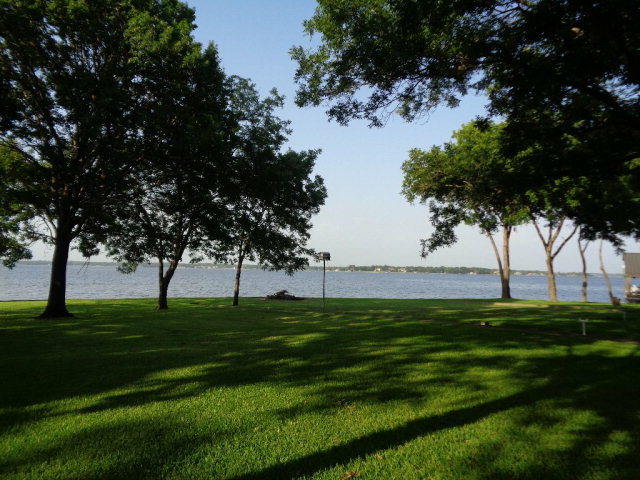 Cedar Creek Lake is approximately a 55 mile drive from Dallas and is a great "weekender, second home owner or permanent resident area. 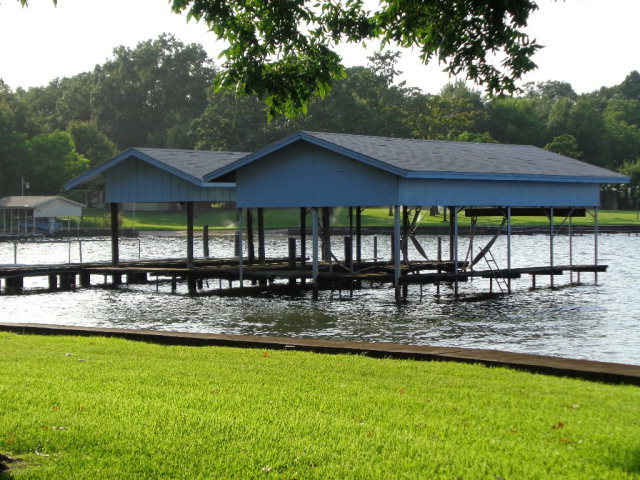 In the early 1960's for Tarrant County as a water reservoir and is one of the few lakes that allow waterfront home owners to own their own private boathouse. The spillway lets water into a canal to the Trinity River located on the west side of the lake. 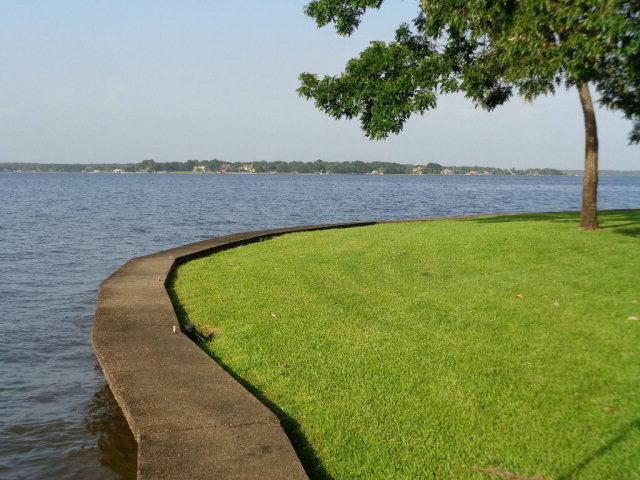 Cedar Creek Lake has also been recognized as one of the best places in the country to live for retirement. Caney City, Enchanted Oaks, Eustace, Gun Barrel City, Cedar Creek Lake, Mabank, Malakoff, Payne Springs, Star Harbor, Seven Points, Tool and Trinidad. The southern portion of the lake the water is clearer and it is the best fishing areas for Largemouth bass. Catfish are found everywhere and you can run jug lines in the channels of the our coves - use goldfish, shad, and perch, this makes it very good for Blue catfish and Flathead (Yellow) catfish fishing grounds due to the many smaller streams, creeks, and run-offs flowing into our lake. Fishing is great in the spring and summer. 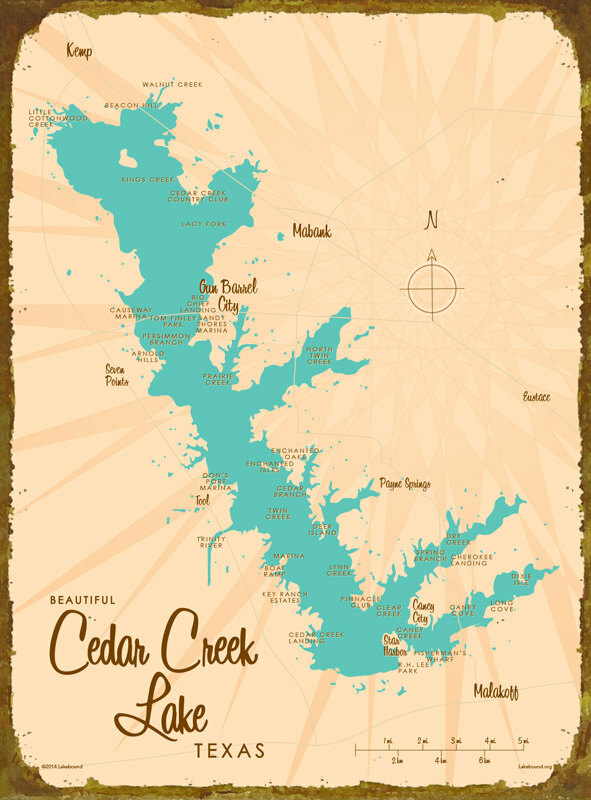 As you can see, Cedar Creek Lake is an excellent destination or year-round lake home.